For a special occasion like Easter or to celebrate Spring I love to make these little raw Lemon Vanilla Cupcakes, so cute and tasty! They are raw and surprisingly yummy according to my “testers”. Delicious to share or as give an edible gift. Raw desserts are often easy to make, you do need a food processor and blender for this one. 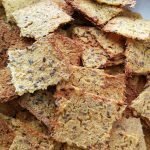 You find the complete recipe below this post. Ingredients are for about 12 cupcakes. I like to use the mini size mold for this recipe, a muffin size can be too much of a good thing … You can of course also make one large pie which can be sliced into the desired size. In the recipe for the cupcake I am using coconut butter and not coconut oil, the difference between these is too is that in coconut butter the whole coconut flesh is ground up, fibers and all. Coconut oil is pressed from the coconut and is more runny and liquid if you compare the structure to the butter. Fresh or dried flowers make such a pretty decoration for desserts! I always have some edible flowers in the garden to add a whole new dimension to a salad or cupcake. 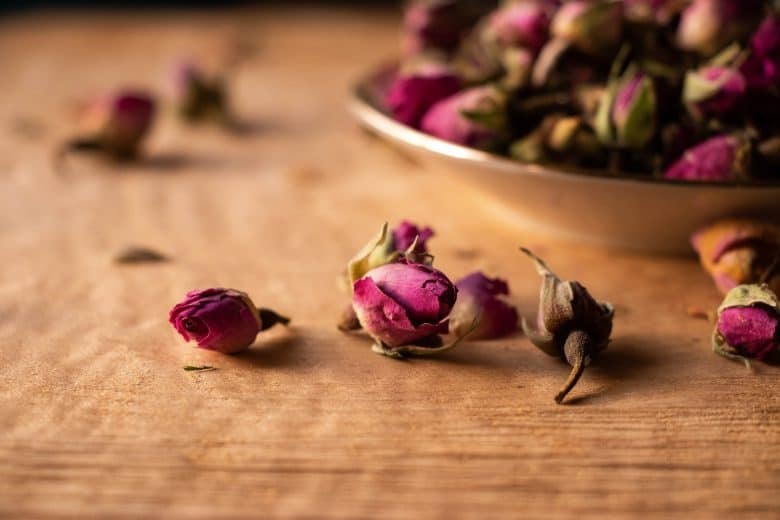 There are many edible flowers, think of Carnations, Daisies, Marigold, Chamomile, Nasturtiums, Roses and Pansies. You can grow them yourself or buy some dried. 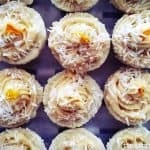 I used marigold for decorating these raw vegan vanilla lemon cupcakes. You could also try this Raw Lime Coconut Pie if you are looking for a delicious easy, creamy dessert! 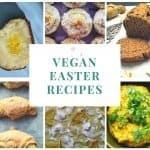 Or check out my easy vegan Easter recipes, including a yummy vegan egg-less egg salad, just saying …. 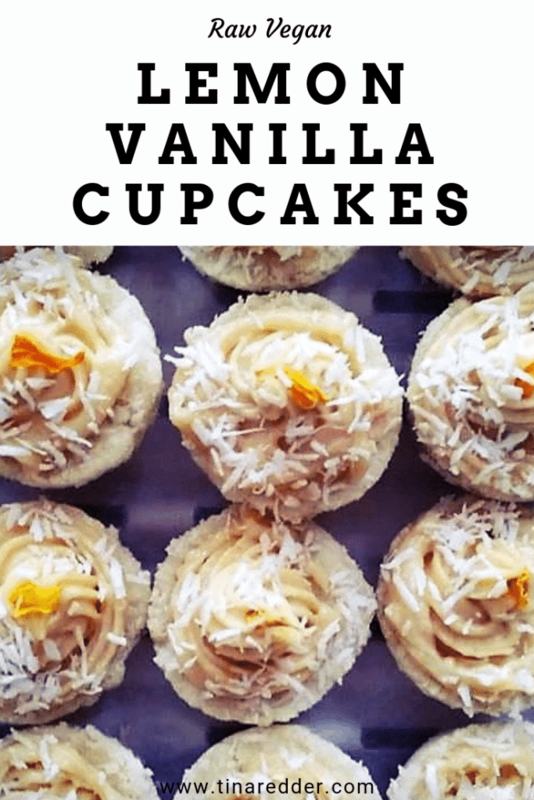 Raw desserts can be very delicious, often easy to make and decadently rich tasting like these Lemon Vanilla Cupcakes. Add the ingredients for the base of the cupcakes to a food processor and pulse it until it makes a nice dough which sticks together between your fingers. Press the dough into 12 with plastic lined cupcake forms, flatten the top with a wet spoon. Blend water and cashews until creamy. Add the remaining ingredients and pulse it shortly. Place it in the refrigerator to firm it up a bit, may be an hour, this will make it easier to handle. After an hour of two the cupcakes can be removed from the molds and can be decorated with the lemon frosting. The frosting can be spread on the cupcakes with a knife or you can make them fancy by using a piping bag. 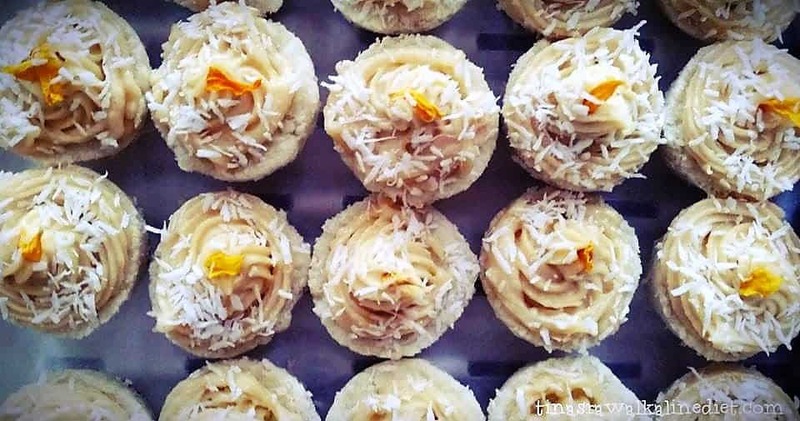 Store in the fridge, these raw lemon vanilla cupcakes can also be frozen.